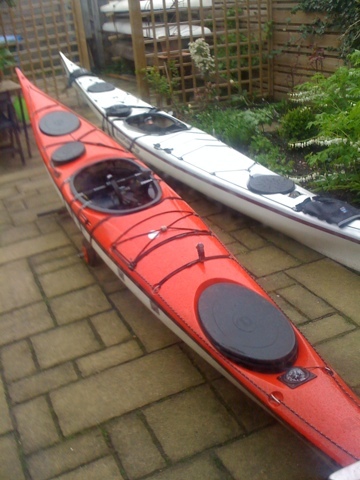 We're getting ready for a weekend seakayakking at Texel, one of the "Wadden" islands in the north of Holland. Wollen socks, thermal underwear, drysuit amd it's May for crying out loud! It hailed big nasty hailstones this morning and the wind (5 Bft) is cold. But the sun is shining! Let's get the tent packed!